MEETING POINT for all our tours is in front of Sky bar (ex Fuego) by PILE bus stop / taxi drop off point. Super easy to find as Pile is the last stop for all city buses and taxis when heading towards the pedestrian old town. Address is Brsalje 8. 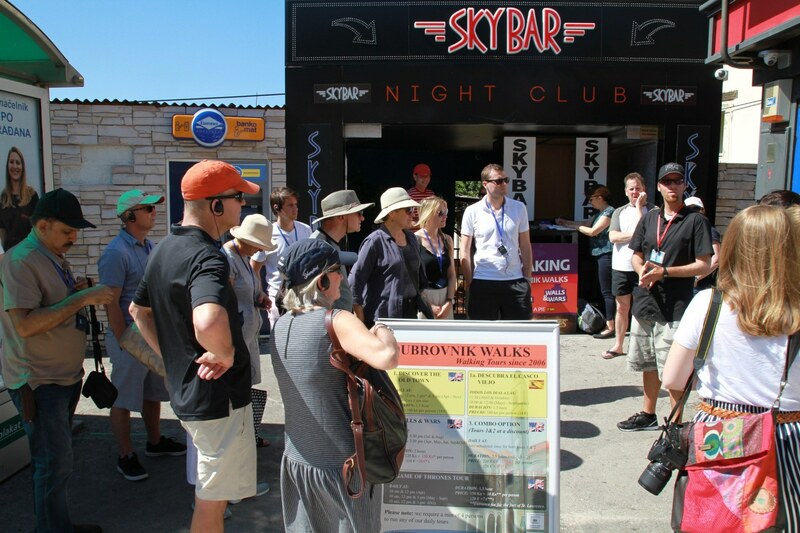 Dubrovnik Walks sign, our representatives & orange umbrella are all there! Alternatively, just look for DUBROVNIK WALKS on Google Maps! ;)!